For many residents, working with the Utility Billing Department is one of the only interactions they have with their local city government. In the course of that interaction, residents often ask about the details of the process that determines how much they pay for their water usage and when they pay it. But for starters, Customer Services Director Molly Owczar, whose department oversees the billing process, said quality customer service is the department’s primary responsibility. As for billing, the City of The Colony is broken down into four billing zones determined by the first two digits for your account number. One zone is read each week and billed the following week, and so on. Each week the meter technicians read approximately 3,000 meters in a given zone. There are approximately 12,000 meters within the city. Some meters, such as those in The Tribute and northern parts of the City, are read by radio/transponder, eliminating the need for a meter reader to physically check those meters. The plan is for the entire city to eventually be on a transponder system once all the hardware is installed. In addition to reading meters, Water Department workers make repairs to leaks in the system. Residents are encouraged to monitor their bills for spikes in usage, which might indicate a leak. Meter reads are not estimated. Your bill is generated after you use the water. Meter technicians read each meter every month, and the data is input into a handheld device. After their route is completed, the meter technicians bring the handhelds to the billing office at City Hall and the reads are downloaded into the billing system. Once consumption data is determined, bills are distributed. Payments must be received in our office on or before the due date to avoid a late charge totaling 15 percent of the bill amount. Due dates are address-specific and cannot be changed due to the structure of the billing zones. Owczar stressed that if you do not receive your water bill, it is your responsibility to contact the Utility Billing Department to determine the status of your account. Should payment not be received, Final Notices are mailed the next business day following the due date of each billing period. If payment is not received by the date of the Final Notice, water service will be disconnected without further notice, and all charges must be paid in full by cash, money order or Visa/Master card before service will be reconnected. Currently, water service is disconnected once the account is two bills past due. You will receive a delinquent notice each time a bill is not paid on time, which will reflect the late fee applied. Disconnection of service will result in a $20 disconnect fee and possible increase in your deposit up to $100. If service is reconnected or turned off after 4:30 p.m. or on weekends or holidays, there is an additional $50 after-hour charge. • Sprinkler system: Walk your property while cycles are running to make sure there are no broken sprinkler heads and the pressure is even on all the sprinkler heads. Are there any wet spots in the yard? 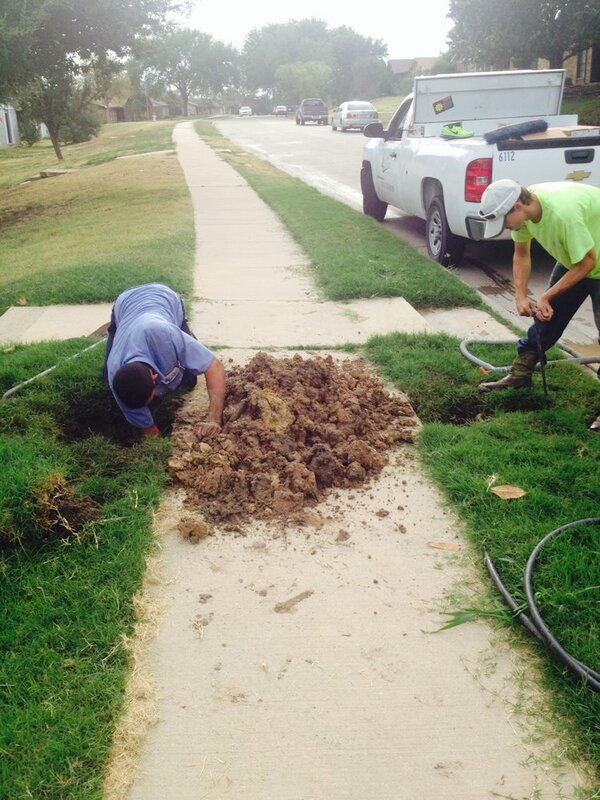 This could indicate a leak in the sprinkler line underground. Check your sprinkler timer settings for each zone. If the power has recently gone out, this could reset the sprinkler system to a previous setting that is longer than you intend. 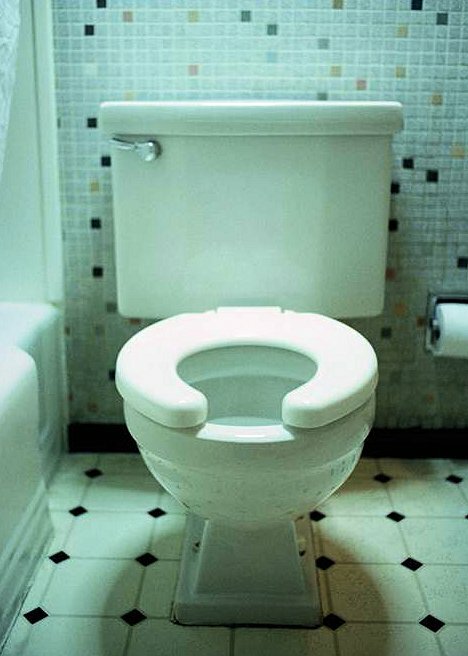 Toilet leaks are comparable to a running faucet, and can use a significant amount of water in a short amount of time. • Toilets: Have your toilets been running? If so, this is as if you left a faucet running. Toilet leaks can use more water than you think in a short amount of time. You can test this by using a few drops of food coloring in the tank of the toilet. Do not flush the toilet for at least 30 minutes to an hour. The drops should stay well formed in the tank water. If they dissipate or funnel into the bowl of the toilet, this could indicate a toilet leak and loss of water. • Leaky faucet? Even a dripping faucet can use more water in a day than you think. Also, check under sinks to make sure you don’t have a leaking pipe. Unlike monthly water usage, sewer charges are determined by an average once a year. Consumption on bills from December through March is used to average your sewer charge for the next year. The highest month out of that time period is discarded and the remaining three averaged. This generates your new sewer average effective from April to March of the following year. If you experience a leak, filling of a pool or additional people in your home during those specific months, you may submit a request in writing for your new sewer average to be reviewed. A wide array of payment options are available. Perhaps the most convenient is auto-draft via Visa, Master Card or through your checking/savings account. There is no fee for this service. The bill amount will be drafted from your account on the due date. Auto-draft by checking/savings account requires completion of a form on our website and a voided check that you may scan, email or drop by our office. Credit card auto-draft includes sending an email to us with a copy of your driver license, requesting us to set up auto draft. You will then be called to obtain credit card information to complete enrollment. You may also mail your payment in the envelope provided with your bill, bring it by our office during business hours or drop in our night depository. Other options include online payment via our website, www.thecolonytx.gov, or IVR automated phone payments by calling 972-625-2741, option No. 4. For more information, please call Customer Services at 972-625-2741 or email us at utilityadmin@thecolonytx.gov. Our mailing address is PO Box 560008, The Colony, TX 75056. City Hall is located at 6800 Main St., The Colony, TX 75056.